Cataract surgery is one of the oldest surgical procedures recorded, and over the years technological advances have made it one of the safest and most frequently performed procedures worldwide. In the last 60 years, cataract surgery has evolved more than any other operation. Today, thanks to advances in technology, most patients experience little or no pain and return to their normal activities the day after surgery. The decision to undergo private cataract surgery offers the opportunity to correct common vision problems, including short-sight, long-sight, presbyopia and astigmatism, to reduce your dependence on glasses or contact lenses permanently. Cataract surgery involves the removal of the cloudy natural lens of the eye (the cataract) and replacing it with a carefully selected intra-ocular lens (IOL). There are several designs of intra-ocular lenses (IOLs) available, each having their own strengths in performance. The choice of lens has a major influence on the outcome of surgery and whether glasses would be required after surgery. Whilst the NHS offers an excellent service for cataract surgery, there is rarely an option for choosing your intra-ocular lens, meaning that glasses will almost certainly be required after surgery. 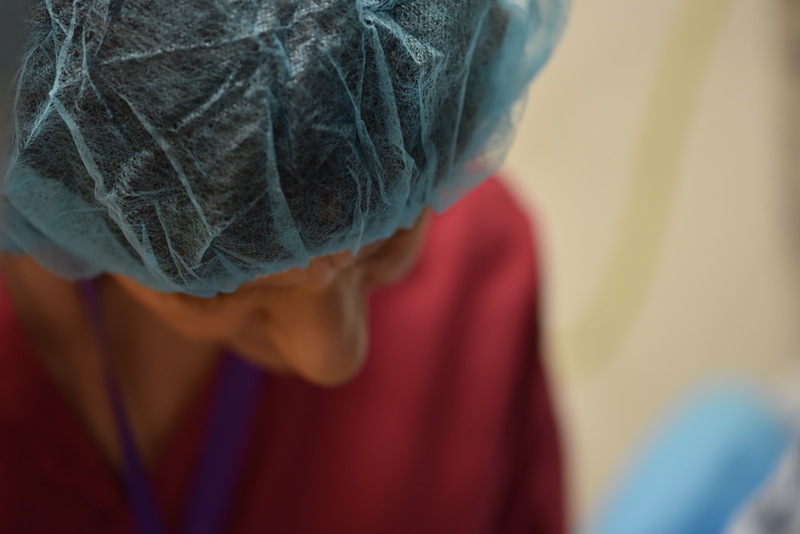 All our surgeons specialise in cataract surgery and have all performed several thousand cataract procedures, particularly for patients with high spectacle corrections, complex cataracts and following other types of refractive surgery. Today, thanks to advances in technology, most patients experience little or no pain and return to their normal activities the day after surgery. The decision to undergo cataract surgery offers a once-in-a-lifetime opportunity to insert the best lens for you. 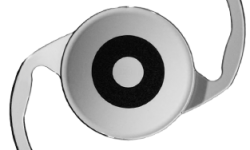 There are several designs of IOLs available, each having their own strengths in performance. 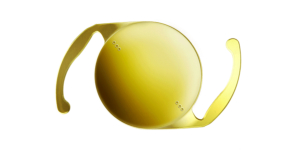 The choice of lens has a major influence on the outcome of surgery and whether glasses would be required after surgery. 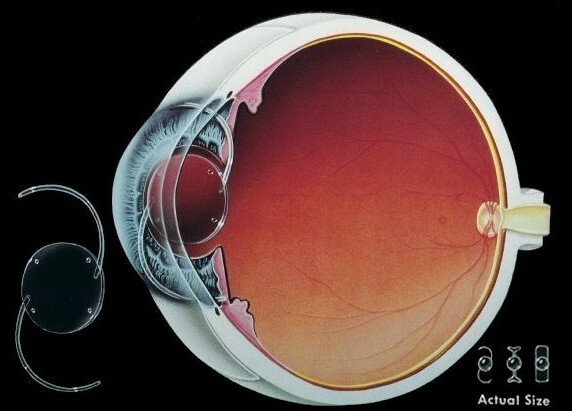 The lens is a clear crystalline structure within the eye that helps focus light on the retina, the light-sensitive tissue located at the back of the eye. In order to help produce a sharp image, the lens must remain clear and flexible. A cataract is a gradual, painless clouding of the normally transparent lens of the eye, located behind the iris. As the lens becomes more opaque, it prevents light rays from passing through the lens and focusing on the retina. The effect is similar to looking through a frosted or opaque glass window. Contrary to popular belief, a cataract is not a skin that grows over your eye. Although cataracts usually develop as part of the ageing process, they can also result from eye injuries, certain diseases such as diabetes, medications such as steroids, or genetic inheritance. 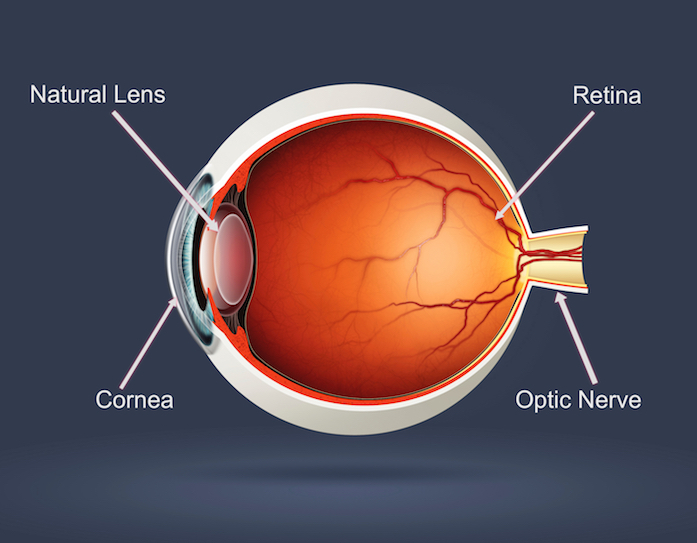 What are the symptoms of an eye with a cataract? One of the earliest signs of a cataract may be a changing prescription. Early lens changes or opacities may not disturb vision, but as the lens continues to become more cloudy, symptoms including blurred vision, sensitivity to light and glare, increased nearsightedness or distorted images in may develop. Cataracts are extremely common. It is estimated that approximately 70% of people in the UK aged over 65 years of age have cataracts. Aside from surgery, there are alternative treatments such as medications that can reverse the effects of a cataract. When does a cataract require treatment? With modern surgical techniques it is possible to operate on a cataract at a relatively early stage, contrary to the misconception of the cataract needing to be mature or ‘ripe’. There is no specific level of vision at which cataract surgery is indicated, but it is usually recommended if the quality of your vision is reduced such that is affecting your lifestyle. Surgery is also indicated if you wish to drive and your vision no longer meets the necessary DVLA legal standard. 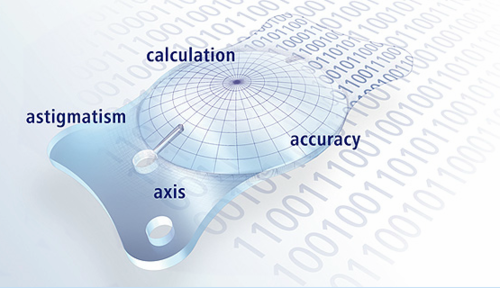 Accurate measurements of the eye taken prior to surgery allow an IOL to be implanted which can correct for long or short-sightedness and astigmatism so that as well as clear vision, vision can be optimized without the need to wear spectacles for normal distance vision. 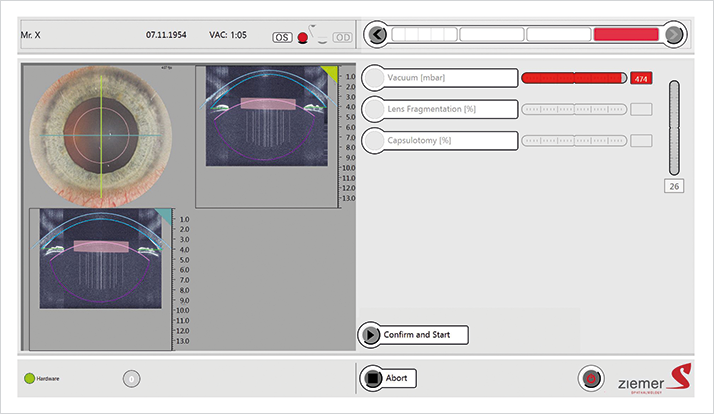 Prior to the development of cataract, surgery to replace the lens can be employed to improve the vision by implanting an IOL, which can correct a high spectacle prescription; this procedure is known as Refractive Lens Exchange (RLE). To improve the range of vision and depth of focus, premium technology lens implants can be used to reduce the requirement for reading spectacles as well as provide clear vision for distance visual tasks e.g. driving or watching the television. Although spectacles may still be required for some visual tasks, many patients rarely require spectacles after this form of surgery. Such lens technology includes accommodate lenses, extended depth of focus lenses, multi-focal lenses, pinhole lenses and toric lenses. Evidence has shown that the choice of your surgeon may be one of the most important factors that may influence your visual outcome following cataract surgery. Whilst many ophthalmologists may perform cataract surgery, our surgeons are trained in both cataract surgery and laser refractive surgery. Combining this specialist training with an in-depth understanding of premium lens technology, our surgeons have the skill set and approach to achieve the best visual potential for each patient following cataract surgery by using laser eye surgery to refine the outcomes of surgery. Many studies have demonstrated that the accuracy of achieving the desired target refraction after surgery isn’t an exact science. With the very latest current technology and most accurate predictive formulae, only 72% of patients will land within 0.5D of the target refraction and 90% within 1D. The target outcomes for astigmatism is lower. The result is that the likelihood of needing glasses remains despite the use of premium lens technologies. The use of laser eye surgery to correct for these anomalies after cataract surgery is called bioptics and the accuracy of laser surgery means over 98% of patients will achieve their desired target refraction. For patients undergoing refractive cataract surgery with our RLE package, laser eye surgery is included free of charge, meaning you can be confident of your outcomes. The future of cataract surgery is available now with femtosecond laser cataract surgery. Harnessing the unprecedented accuracy of lasers, femtosecond laser cataract surgery can now automate many of the critical steps of cataract surgery to 1/1000th mm accuracy and perform the first bladeless form of cataract surgery. Introduced to the UK in 2014 by LaserVision, the Ziemer Z8 laser is the fastest and lowest energy femtosecond laser in the world. With the use of Optical Coherence Tomography technology, the Ziemer Z8 can build an accurate 3-dimensional picture of the unique anatomy of your eye, and sequence many of the steps to unparalleled precision. The result is surgery that is safer and more predictable than ever before. Cataract and lens replacement surgery offers the option of choosing a lens style that suits your needs. As we are totally independent of any lens manufacturer, we selectively choose the right lens technology for you from all the current styles, ranging from monofocal lenses to multifocal and extended depth of focus lenses. Your surgeon will discuss lens options with you during your consultation after a detailed examination of your eye. Below are some of the answers to the most commonly asked questions. Should you have any further questions about cataract or lens replacement surgery, please contact us directly. How common is cataract surgery? Cataract surgery and lens replacement procedures are one of the safest and most effective surgical procedures. Each year in the UK alone, it is estimated that there are over 340,000 lens replacement procedures carried out to treat cataract alone. If you use soft contact lenses you must refrain from wearing them for one week before your consultation; if you use rigid gas permeable lenses please stop wearing them for 4 weeks before your consultation. The examination will be thorough and included the use of drops to dilate your pupil. This can lead to blurred vision and so it is advisable to arrange not to drive to your consultation.We would like you to be aware of any prescribed medications you are taking. You will probably be asked to continue these in the usual way, but some medications can cause complications during ophthalmic procedures. These include warfarin, an anti-clotting agent; and tamsulosin (Flomax) or similar preparations given to some men with prostate problems. If you normally take these it is important you that let us know prior to admission. If you take a diuretic “water tablet” and are having surgery on a morning operation list, you may wish to postpone taking it until after your operation. Are you short-sighted or long-sighted? Do you have any astigmatism? How do you feel about continuing to wear glasses or contact lenses after your cataract surgery? Would you prefer not to need glasses or contacts after surgery? How important is good night vision to your lifestyle? In general, how well do you adjust to changes and learning new skills? What activities or tasks are necessary for your daily life and for your job? What hobbies do you currently enjoy or would like to engage in most often? During which activities would you find glasses the most inconvenient or aggravating? There is no ‘perfect’ lens which will work for everyone. The correct lens for you will depend on your eyes, your lifestyle and your desire to be free from glasses or contact lenses. The surgeon led team will help you choose the right lens for you following an in-depth consultation and explain what you can expect to achieve from each one. Modern lens implants are extremely safe. 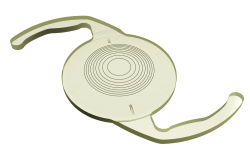 The development of the intra-ocular lens was the single most important development in the field of Ophthalmology and Optometry over the last century. The refinement in lens design, materials, and manufacture since the 1940’s is one of the great medical success stories. Implants used since 1990 are extremely safe, reliable and effective. What type of anaesthetic can I have? Most cataract procedures are carried out under local anaesthetic, using just drops to numb the eye (referred to as “topical anaesthesia”). However some patients find there is a desire to squeeze the eye closed. In this case a small injection around the eye is performed to reduce eye and eyelid movement (known as a sub-tenons local anaesthetic). With this type of anaesthetic there are no restrictions; you may eat and drink prior to admission. There is no pain during surgery and it is possible to leave hospital about an hour after the operation. Some patients are anxious. If required sedation can be used in the form of a tablet taken about an hour before the procedure, which can help relieve anxiety. Some patients wish more sedation, in which case an injection can be given. The alternative is a general anaesthetic. You must not eat or drink for 6 hours prior to intravenous sedation or general anaesthetic. Remember, you should not drive yourself to the hospital. You may want a relative or friend to accompany you, or to drop you off and return to collect you when you are ready to go home. The operation involves removing the natural lens through a tiny 2.2mm incision. Once the natural lens has been removed, a new replacement lens called the ‘intra-ocular lens’, is gently inserted through the same small incision and set into its permanent position. 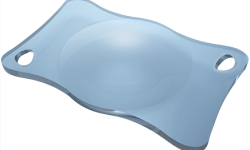 Anaesthetic eye drops are used in conjunction with a mild sedative if required to make this a painless procedure. Some patients, however, may experience a gentle pressure during surgery. As the pupil is dilated during surgery, the pupil may take up to 48 hours to return to its normal size. It is not uncommon for patients to experience some unusual light phenomena early on but these often settle within a short period of time. If the light is not too bright, you can start reading and watching TV immediately. Most patients recognise a significant visual improvement immediately after surgery and although over 95% of patients will be legal to drive the next day, we advise patients not to drive unless they feel comfortable and are able to read a number plate from 25 yards away. The vision continues to improve for about one week. If you want or need glasses they can be prescribed anytime after the first or second week. Approximately 340,000 cataract procedures are performed in the UK each year and as many as 10 million worldwide. Naturally, with that many procedures there will be reports of almost every possible complication. Our data shows a complication rate lower than 0.5% with 99.5% patients having an excellent post-operative course and an excellent visual result. Infection occurs in less than 1 in 5000 cases and retinal detachment occurs in less than 1 in 3000 cases. Other complications including corneal decompensation, persistent macular oedema, implant instability, power calculation errors, and glaucoma. All of these problematic cases add up to less than one half percent. In almost all of these cases further surgery, additional medications, or additional time results in recovery and a net improvement in vision. It is extremely rare for patients to end up worse than they started. You will be shown to your private room. A nurse will carry out routine investigations including checking your pulse and blood pressure. The nurse will also record details of any medications you are taking and ask questions about your general health. Once this has all been completed, the nurse will instil the drops, which dilate your pupil in preparation for the operation. You will also have another chance to discuss the operation with your consultant surgeon. You will be asked to sign a consent form which states that you have been provided with and understand all the information given relating to the operation (including the risks and benefits of surgery) and that you agree to the proposed treatment. The ophthalmic nurse will come to see you to explain what will happen during and after the operation, and to answer any further questions you may have. You will be taken to the operating theatre in your own clothes, so it is important to wear something comfortable. Following the admission process, you will be taken to theatre where you will be asked to sit on a chair. The team will then perform their routine safety checks, confirming a few specific details. Once the team have signed off the necessary checklist, the chair will be reclined into the correct position for surgery and we will ensure you are comfortable prior to surgery. The area around your eye will then be washed and cleansed and a sterile cover (“drape”) will be placed over your eye and face to create a sterile environment. The cover will be lifted off your mouth so you can breathe and talk easily. The operation is painless and lasts less than 10 minutes in most cases. The technology used is called phaco-emulsification and employs ultrasound energy to liquefy the lens which can then be aspirated. 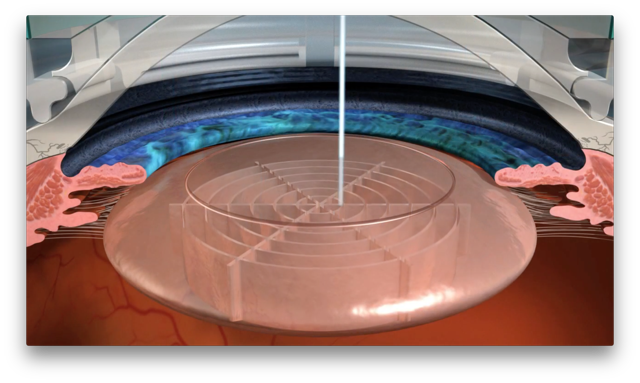 A new lens is then inserted using an injection system and is unfolded and positioned within the eye. We typically do not use stitches during surgery which allows for a faster recovery. You will see little of what is happening during surgery, but we will explain what we are doing as the operation goes along should you wish to know. The theatre staff will make sure you are comfortable and will help you relax. Someone will be there to hold your hand if you wish. What will I see during the procedure? Right at the start there may be some vision, but very quickly this gets very blurry. Vague shapes and movements may be seen, and some patients notice coloured lights. What happens immediately after my operation? After the operation you will be taken to the recovery room, and then back to your private room. Whilst resting after the operation, you will be offered refreshments. You will need to allow 3-4 hours for your hospital stay so that we can run through your treatment and aftercare with you. You will need someone to collect you or we can arrange transport for you. You may leave the hospital when you feel ready. After the anaesthetic wears off, about one to two hours after the operation, the eye may water and may feel a little gritty. This is nothing to worry about and your normal headache tablets should settle any discomfort. By the next day the eye will feel much better. How long is it between the first cataract operation and the second operation? 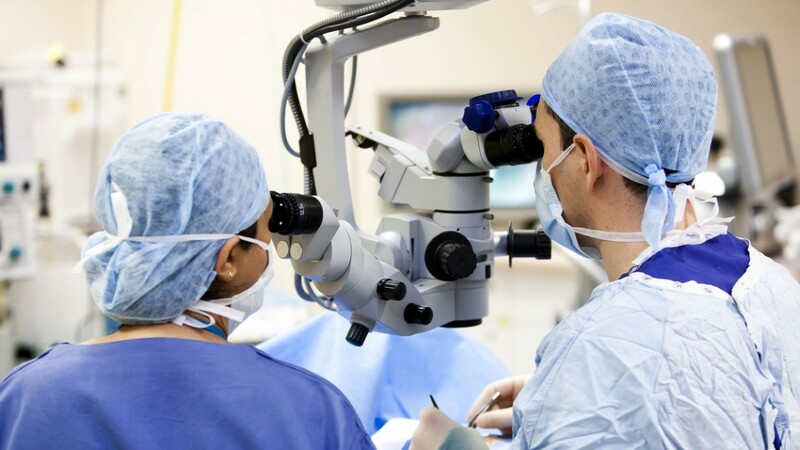 We prefer to perform surgery between 3 days to 3 weeks apart to allow for first eye to settle and ensure a good result. There are some surgeons who treat both eyes at the same time, and it is probably safe to do so. However, common practice is to treat one eye at a time for safety. The main advantage is to see what the outcome is like for the first eye – this sometimes allows slight modifications to the lens power for the second eye to better suit the requirements of the patient. No. 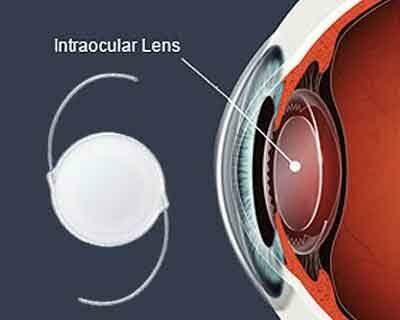 Once the natural lens is replaced by the manufactured intraocular lens implant (IOL) a cataract can not return. 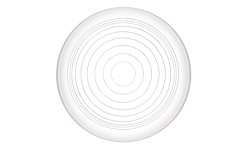 Intentionally, we leave the posterior skin of the natural lens (the capsule) to hold the implant. This capsule often opacifies with time. Twelve weeks to twelve years after surgery a painless in-office laser called the YAG removes the cloudy capsule. If you notice that your vision has degraded slightly several months or years after cataract surgery you might need a YAG. Sometimes, your referring doctor will send you back to us for the YAG procedure. A YAG laser is only needed once in each eye following cataract surgery. Some patients never require a YAG. The implant remains stable after the YAG procedure. In fact, with the modern very small incision cataract surgery implant stability is outstanding. 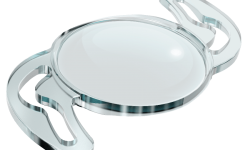 Does the lens implant wear out? Will I need to use eye drops afterwards? What do I do between my procedures as far as glasses are concerned? Your surgeon will provide advice tailored to the individual. This may be to wear just one contact lens, or go without glasses. How soon can I exercise after surgery? Gentle low-impact exercise can be resumed after a few days. High impact activities such as running ought to be avoided for at least a fortnight. Swimming should be avoided for one month to avoid the risk of infection. Can I bend down to pick things up? Yes, but don’t lift any heavy weights or any weight that would cause you to hold your breath. We advise patients to avoid heavy gardening duties for a week or so. Driving can be resumed can drive as soon as you feel comfortable and confident, and as long as you can read a standard car number plate in daylight from 20 metres away (about three car lengths). This depends on your job. If you are office-based, then usually within a few days you should be comfortable enough to return to work. If you work in a dirty or dusty environment, then it may be longer before you can safely return. Flying as a passenger is possible the day after surgery. If you are a pilot, then the Civil Aviation Authority will need to clear you before you can fly.